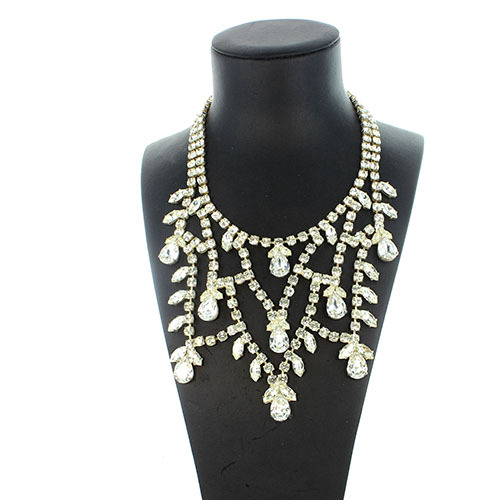 The Lotus Necklace. 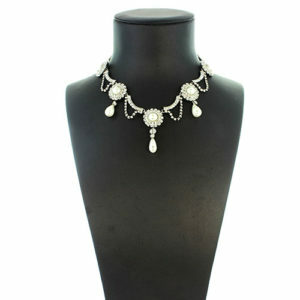 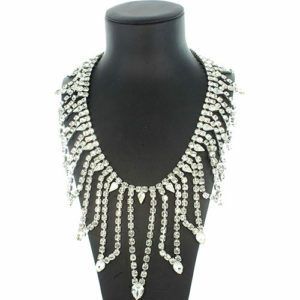 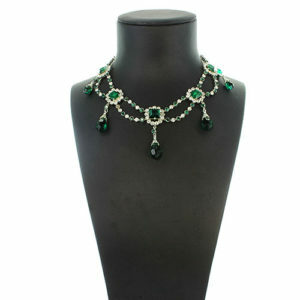 This necklace has a diamante chain going around the neck set with 4mm crystal stones. 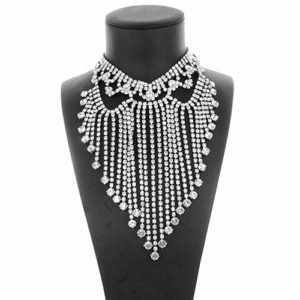 The drops are made from 15×7 8×4 crystal navette stones and 4mm round stones. 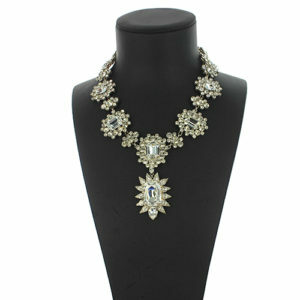 Necklace Drop 4.5 cm. Around the neck 40cm plus extender.